Below is a list of frequently asked questions our mold experts often receive. What type of services are typically offered by a mold inspection and testing company? At Certipro Restoration a Certified Microbial Specialist will offer the following services: mold Inspection, black mold inspection, mold detection, toxic mold testing, moisture intrusion detection (Leak Detection), pre-purchase inspection for real estate transactions, allergen screening for dust mites, pollen, pet dander, indoor air quality testing. Mold growth can occur anywhere the conditions are correct, however certain areas are much more common. These include the crawlspace, attic, bathroom and near plumbing fixtures. Crawlspace mold damage often occurs during new construction or in warm environments using air conditioning. Attic mold damage is common in cooler climates and occurs when warm air from within the home condenses on the cold surface of the attic sheathing. Bathroom mold is very common, though often is more of an aesthetic problem than a health issue. Plumbing fixtures, however, can be a source of major mold problems, and if left unattended, often wood rot as well. Carpet mold is less common, however carpeting can often harbor old deactivated mold spores for many months after the source of the mold growth has been addressed. Certipro’s services are a key part in keeping your home safe. It is essential to find a qualified, certified toxic mold testing service to check your living conditions. Certipro Restoration can help you find this qualified professional. 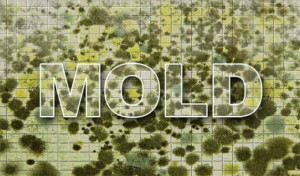 What is involved in the Mold Inspection & Mold Testing process? A thorough mold inspection involves two main components, a visual inspection and sampling. The visual inspection focuses on identifying the extent of the visible mold growth and the conditions conducive to mold growth. This portion of the inspection often entails moisture meter testing, thermal imagine, humidity testing, CO2 and CO testing. Depending upon the scope of the inspection the process is either limited to a specific portion of the building or encompasses the entire property. visual inspection and air sampling will identify problem areas that may be adversely affecting your Indoor Air Quality. 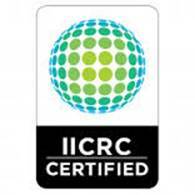 We utilize an extensive array of indoor air quality (IAQ) professionals to suite your needs. These include building inspectors, waterproofing contractors, mold inspectors, hazardous materials managers, industrial hygienists and drainage contractors. 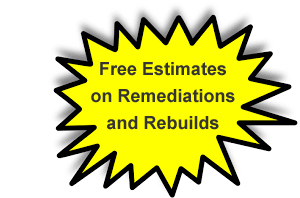 Our unique combination of skilled, licensed tradesmen and Certipro Restoration’s certified mirocrobial specialist allows us to evaluate and resolve a wide variety of indoor environmental problems in an efficient and cost effective manner. Our clients include real estate professionals, builders, attorneys, property managers, home owners, developers, insurance companies, remodel contractors, and lending institutions. The primary health effect of exposure to mold is through an allergic response. Asthma, allergies, and sinus infections can all result from exposure to mold spores. It is important to remember that mold spores are ubiquitous and occur naturally in the outside air. Much like pollen and other allergens, these reactions are possible in sensitive individuals even at levels found in the outside air. The goal of indoor air quality testing, therefore, is to determine if the mold spore counts in your home are elevated beyond the levels normally encountered in the outside air. Respiratory infections are also possible, though typically only occur in susceptible individuals with compromised immune systems. These people are often confined to hospital clean rooms. The toxic effects of mold growth are far less understood. Scientists are unclear whether an individual can receive sufficient exposure to mold growing indoors to cause the toxic effects.